do you miss Katie Holmes as much as I DO? For someone who’s most exciting, mystical moment in knitting is the Turning of the Heel, the little piece of fabric you see above is like Gas on the BonneFire of the Imagination. Designed by the genius that is Debbie Bliss, from her Simply Soft book, it is one of the craftiest constructions I’ve ever attempted. Deceptively simple; beautifully curved. then, the cocktails, hor’dourves, salad, etc. One charming Oktoberfest, I wore a circlet of beautiful silk flowers with ribbons streaming down my back mingling with my long red hair. KA-Ching!!! 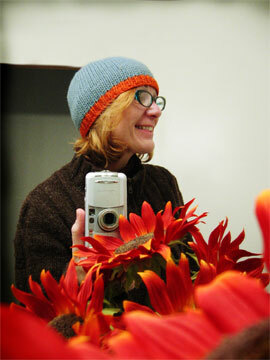 …Hat #1: this simple beanie is made using my pattern HERE and Cascade 220 held double – the teal blue is Color: 8229 and the orange Color: I have no idea! Lets call it Pumpkin! 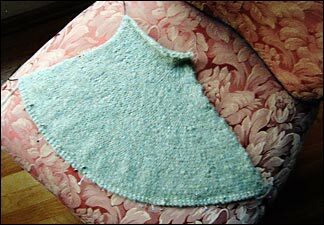 I substituted 1×1 ribbing for the garter stitch edge.